Week 71: Experts in authoritarianism advise to keep a list of things subtly changing around you, so you’ll remember. Trump tweeted, “House Intelligence Committee has concluded, there was no collusion between Russia and the Trump Campaign.” This is not true. Trump also accused Comey of lying under oath to Senators. Reuters reported three sources who have spoken to Mueller’s team contradicted Sessions’ testimony he “pushed back” against the proposal made by George Papadopoulos at a March 2016 meeting to meet with Russians. On Wednesday, AP reported the New York City’s buildings regulator launched an investigation into more than a dozen Kushner Cos. properties for filing false paperwork claiming it had zero rent-regulated tenants. On Sunday, WAPO reported in the early months of Trump taking office, senior White House staffers were asked to sign a nondisclosure agreement because Trump was upset about leaks. On Tuesday, CNN reported Trump was furious over how quickly it leaked that advisers told him not to congratulate Putin, reinforcing his belief members of his national security team are seeking to undermine him. THE LIST — weeks 1–52 of The Weekly List are coming out as a book on Tuesday! You can order your copy by clicking here. 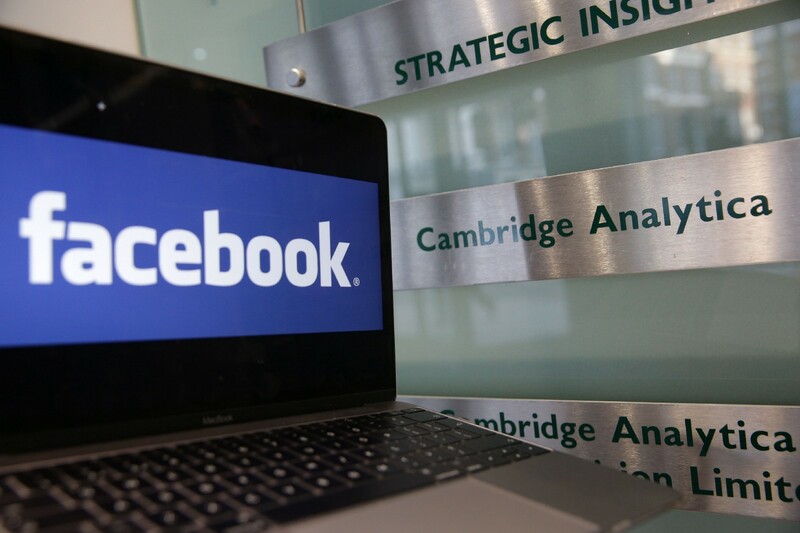 A laptop showing the Facebook logo is held alongside a Cambridge Analytica sign at the entrance to the building housing the offices of Cambridge Analytica, in central London on March 21, 2018. Facebook expressed outrage over the misuse of its data as Cambridge Analytica, the British firm at the center of a major scandal rocking the social media giant, suspended its chief executive.